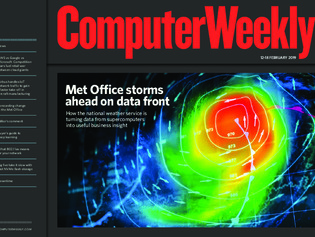 In this week’s Computer Weekly, we find out how the Met Office takes 2TB of weather data every hour and turns it into useful business insight. We examine whether Amazon’s presence in the retail market is putting off other retailers from using its public cloud services. And we look at the new 802.11ax wireless networking standard and analyse the benefits for enterprise IT. Read the issue now. The internet of things is set to power the fourth industrial revolution, providing data to optimise manufacturing – and Airbus is starting to put sensors into aircraft assembly. With so much artificial intelligence, machine learning and deep learning in development, we look at the kit programmers might find useful in their AI toolbox. NVMe flash offers blistering performance gains, but so far the big five storage array makers have opted for gradual implementations.